Description: This new STI 2011 DVC Open is a semi-automatic pistol which fires the .38 super round. 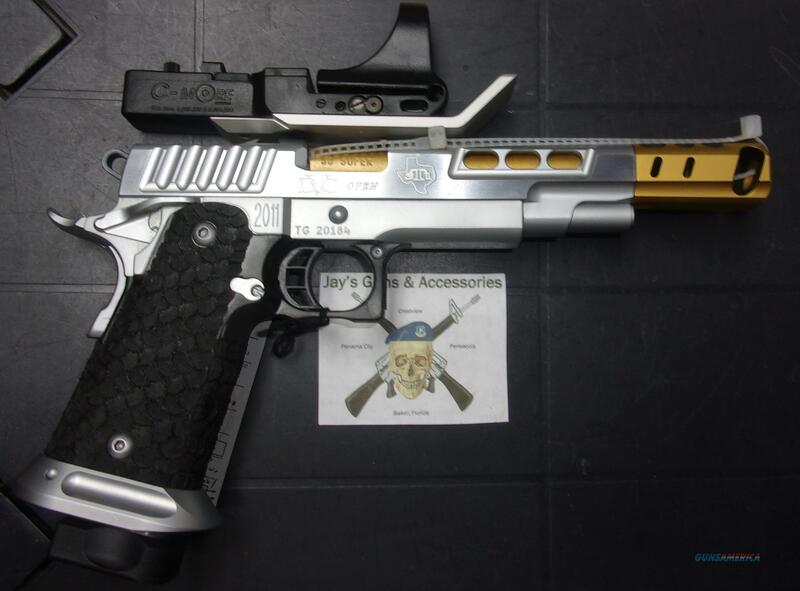 It has a 5" barrel with muzzle break and an overall stainless and gold finish. This includes 2 20-round magazines, funneled mag well, extended mag release, C-More red dot sight, charging handle, ambidextrous safety, hardcase, lock and manual.